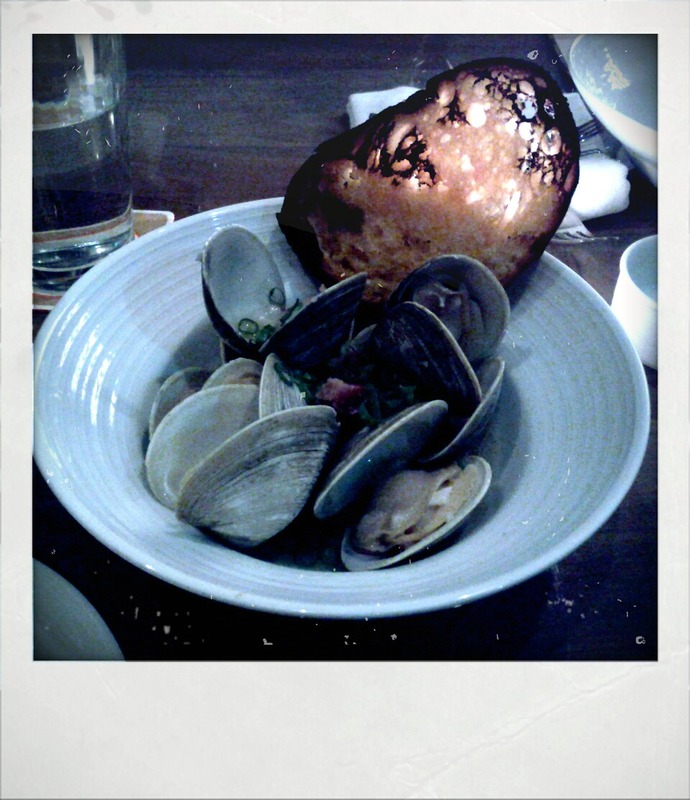 We had dinner at Island Creek Oyster Bar recently since we are huge fans of brunch, the lobster roll and drinks there. We already believe that the cold lobster salad roll at ICOB much is better than the one at B&G Oysters and definitely rivals Neptune Oyster’s popular hot-buttered version, if you prefer chilled lobster salad dressed in a light mayo with minimal bits of crunchy celery and onion. What we really like about ICOB is that it is a large creatively decorated space in muted neutral tones that is dedicated to a wide selection of seafood and good cocktails. On busy nights it can be quite ,making it hard to hear someone right next to you speak. The waitstaff is very friendly and knowledgeable which is a plus. ICOB turns out some superb food despite being rather expensive for the portion sizes. The complimentary bread has a hint of rye in it and comes with a honey cayenne butter that is creamy, sweet with a hint of pleasantly spicy heat. Both are delicious together, but be sure not to fill up on bread because the seafood here is certainly the star at this restaurant. 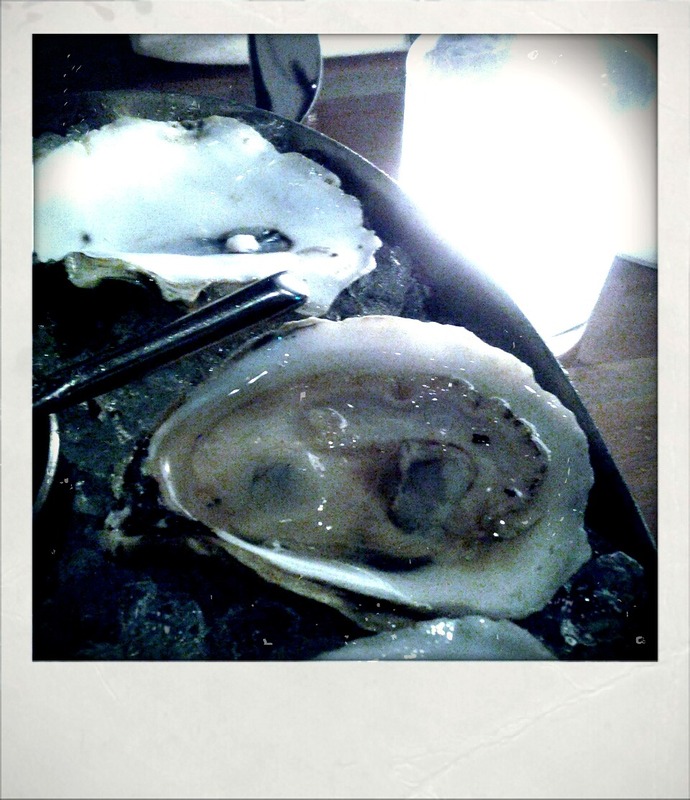 The main reason to go to ICOB is their seafood, especially their amazing selection of oysters. Whether they are locally grown, or flown in from the West coast, the oysters here are delectable and very fresh. We tried four of the Island Creeks along with two each of the Wild Belons, East Beach Blonds, Misty Points and Hama Hamas. I really enjoyed the Island Creek and Misty Points the most out of our selections. fresno chile, black bean vinaigrette, scallion, grilled bread $12. It was a lovely starter and the chile gave the littlenecks some pleasant heat, which was a nice twist on a classic. The Idaho Red Trout shallots, asparagus, fingerling potato, Hollandaise $24 was delicious. Note, my dining companion subbed out the fingerling potatoes for greens because they are trying to avoid excess carbs in their diet. The trout had a nice sear on it and was cooked nicely. The Hollandaise sauce was rich, creamy and buttery with a subtle tang. I had the special of the night, a cod and chorizo dish that I will fondly remember. 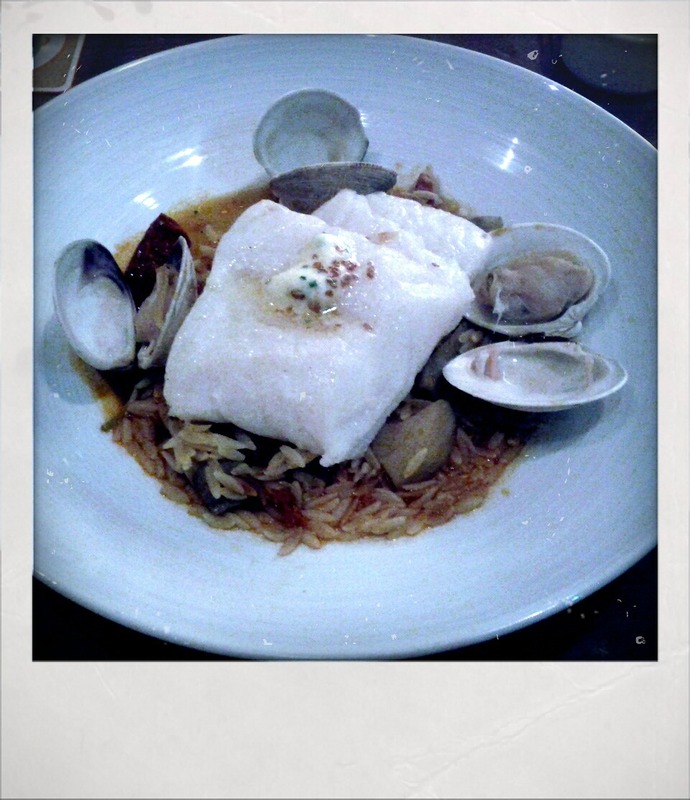 It may have been the best seafood dish I have ever had in quite some time. It had a subtle smokey flavor from the chorizo in it. 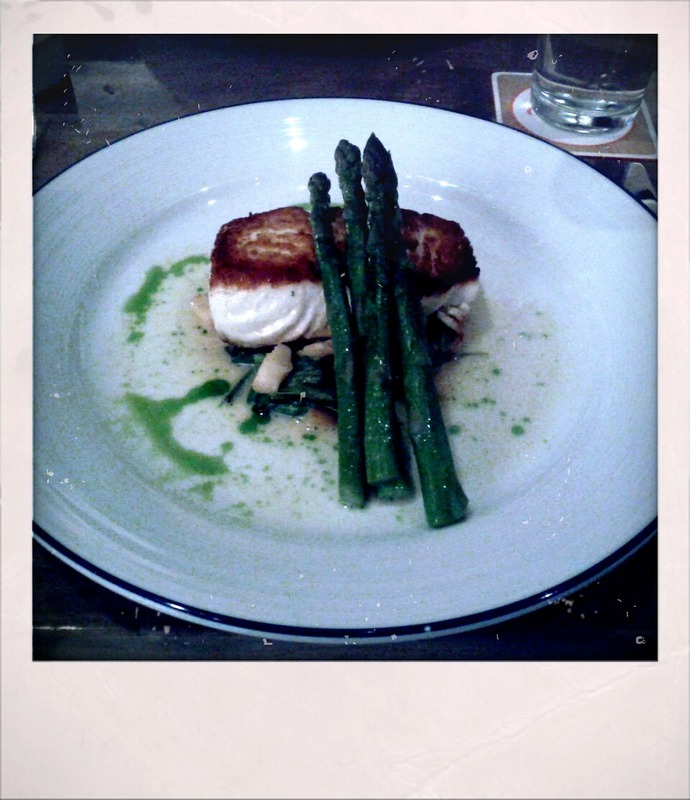 The cod was perfectly cooked, nice and flakey. We definitely would return to have more lobster rolls and to try ICOB’s oyster slider as well as their signature lobster roe pasta which we have heard many good things about. ICOB will definitely be in our summer rotation on days when the Red Sox aren’t playing during the season since we avoid huge crowds. Keep in mind that I’ve also heard raves about the braised pork shank and the libations if you are bringing along someone who does not eat seafood or wants a good drink while they tag along on your seafood adventure.